Margaritas are my favorite summer cocktail. There seems to be an explosion of flavored margaritas that take a basic lime margarita recipe and put a spin on it. I have been mixing a few, and while none have lived up to the success of the Cherry Margarita, they come close. 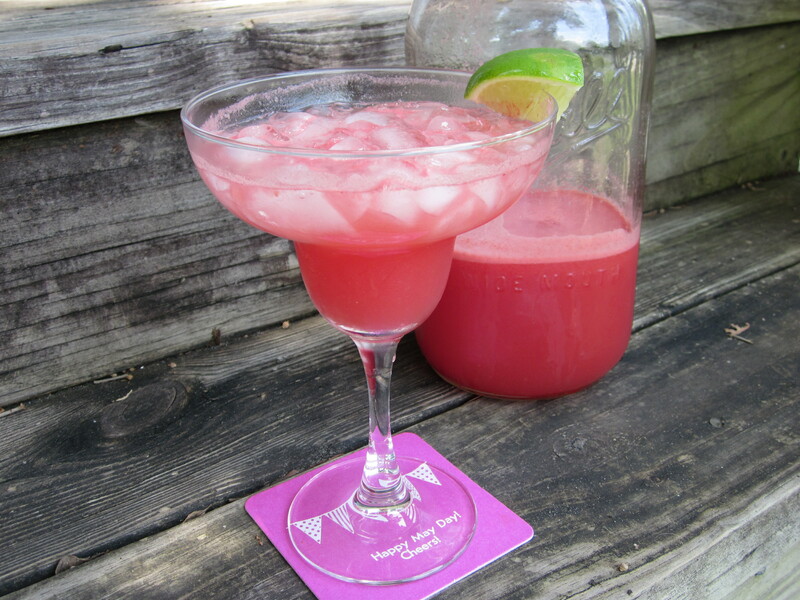 Over the 4th of July weekend, we served a watermelon margarita (on leftover May Day coasters). I made them ahead of time and stored them in a giant Mason jar. The jar needed a little shake to mix the cocktail before each serving because the watermelon separates a little while sitting. Aside from that, the overall verdict is that the drink is very tasty. 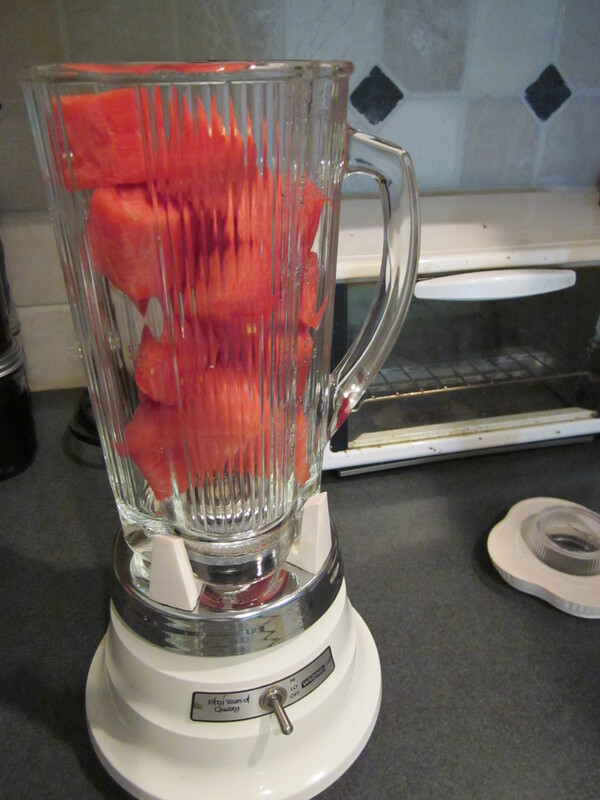 In a blender, puree watermelon until liquified. Pour watermelon juice through a fine mesh sieve into a pitcher– or Mason jar. Push on the solid watermelon parts with a spatula to get all of the watermelon juice into the pitcher. Discard the “solid” watermelon stuff. You should have about 1 c. watermelon juice. 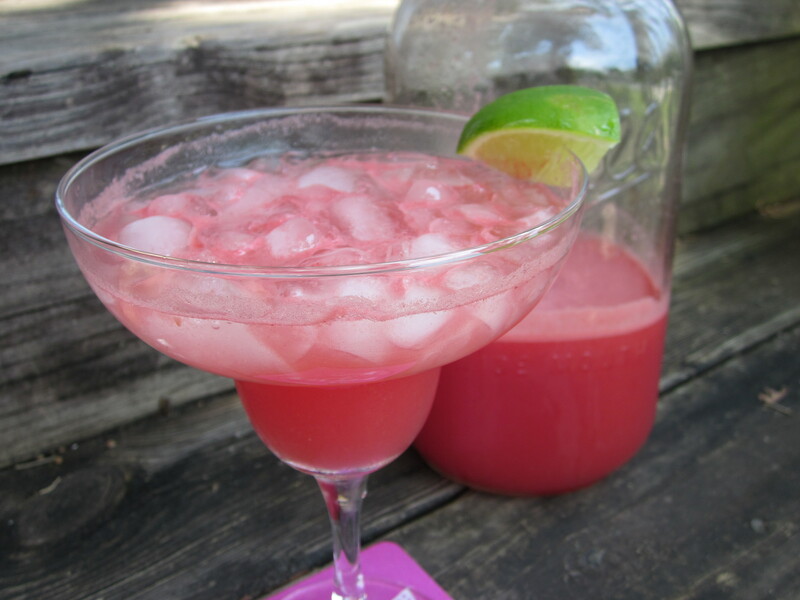 Add simple syrup, lime juice, tequila, and triple sec to the watermelon juice and stir. Serve over crushed ice with a lime wedge. 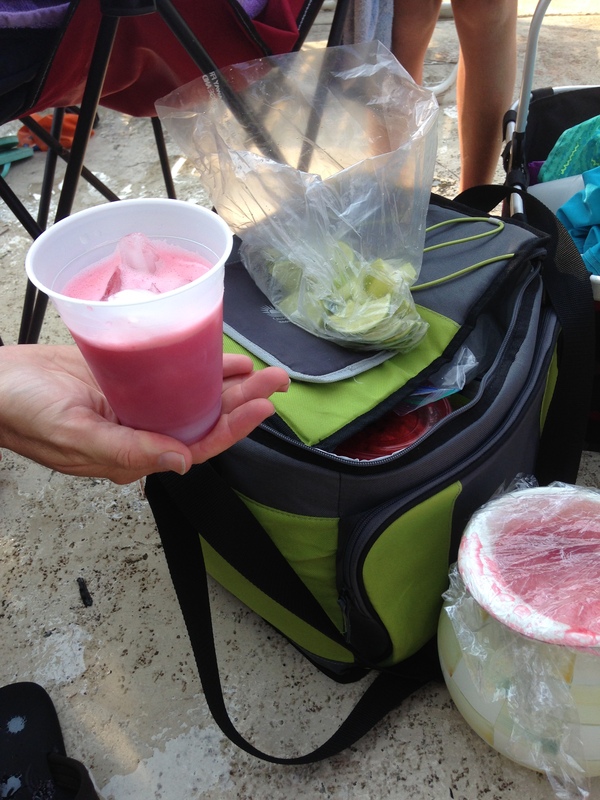 To make any fruit flavored margarita, mix equal parts fresh fruit juice, simple syrup, and liquor (like 1 cup of each). 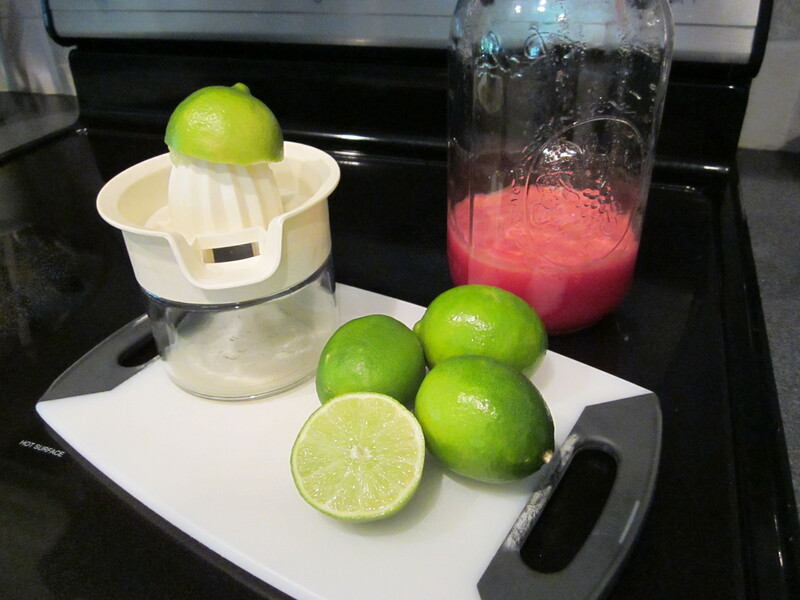 Add half the measurement of fresh lime juice (or to taste). Serve over crushed ice or blend with ice to make a frozen version. Margaritas travel well. Look what TheSwimFriend brought to our final swim meet last night! What are other good “To Go” cocktails in hot, humid, muggy weather?